Head-related violence is apparently a problem now. We don’t particularly embrace games where the objective is to blow your opponent’s head off. 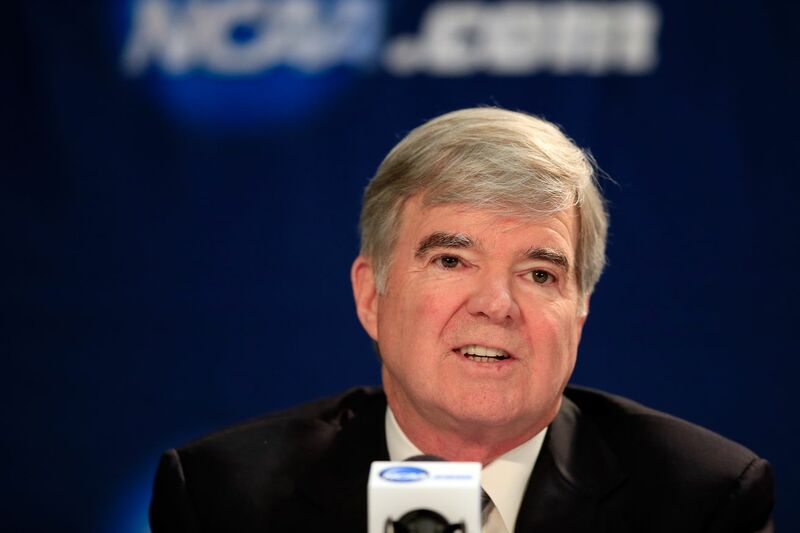 Emmert was speaking at some length about why the NCAA doesn’t currently sponsor esports. Several schools have put together esports teams, often housing them outside their athletic departments. Only a few consider esports a varsity sport. Emmert made other points about esports. One was that that “a lot of the content is hugely misogynistic.” There’s misogyny in gaming, as there is in many other sports, but there are also plenty of games and gamers who aren’t misogynistic by nature. He said 95 percent of esports players are male. Emmert didn’t mention that nearly 100 percent of football players are male, and the NCAA’s cool with that. Emmert also didn’t mention that the NCAA already sponsors a sport much more violent than esports, which are virtual games played with controllers. Having your video game character get shot in the head on the screen? Violence isn’t the objective of football, but that doesn’t seem like the key thing, does it? Either players are taking hits to the head or they’re not. Emmert using game-related violence as an argument against the NCAA having esports would be more convincing if NCAA schools didn’t make tens of millions of dollars apiece every year broadcasting games where unpaid players take actual blows to the head. There are other, realer reasons the NCAA and esports might not be a fit. Esports tournaments often have cash prizes attached to them. There’s no NBA- or NFL-style age minimum that keeps a good gamer from turning pro when they’re college-aged. Playing for bragging rights or the love of your school would be weird, in that context. Besides, nothing’s stopping a regular college student from getting paid for esports on the side. Why play along with the NCAA’s amateurism model and not get paid for something it’s already possibly to get paid at professional levels to do? The NCAA has no apparent expertise in how to administer esports, and this is not typically an organization you’d want getting involved in something it knows little about. Right now, schools and game developers set the terms for college esports events, and they’re probably much better at it than the NCAA would be if it suddenly had a role in organizing them. So, Emmert isn’t wrong that esports don’t make clear sense for the NCAA. He shouldn’t act like the NCAA’s real problem with esports is that they’re too violent, though. The NCAA has demonstrated it’s fine with teenagers taking real-life head trauma if it’s part of a sport that makes schools enough money. Violence is not the stumbling block.